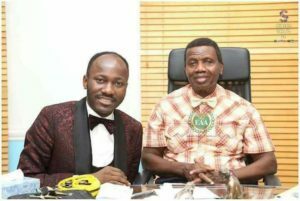 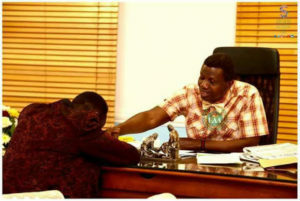 Fiery preacher and president of the Omega Fire Ministries worldwide, Apostle Johnson Suleman, on Friday, paid a visit to his spiritual father and mentor, Pastor Enoch Adejare Adeboye, the Spiritual Leader and General Overseer of the Redeemed Christian Church of God worldwide, at the RCCG Nigerian headquarters in Lagos. 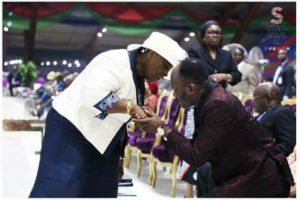 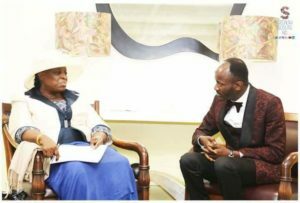 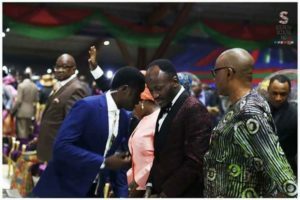 The visit was divine in every aspect as Suleman, the ‘Oracle of God’, received prayer and blessings from Pastor Adeboye who encouraged him and other men of God never to get tired as guiding lights to Christians all over the world. 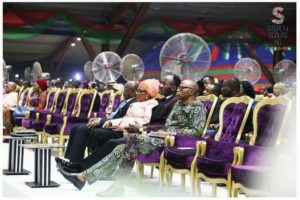 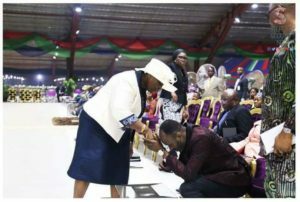 The glorious occasion was witnessed by the former governor of Ondo State, Dr. Olusegun Mimiko, and wife of the RCCG leader, Mrs. Folu Adeboye, who also prayed for Suleman.